What better way to let the whole world know that you’re a Christmas nut than by displaying your love for the festive season emblazoned across your chest? Sure, we may not have the weather for it, but we'll be damned if us Aussies can't look as ridiculous as our northern hemisphere companions come the big day. Sweat or not sweat. 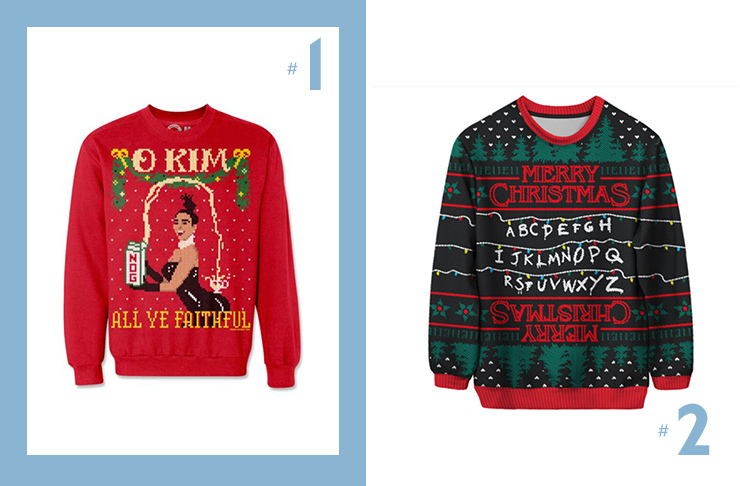 It's time to thoroughly modernise your Christmas cover up; from politics to pop culture and perfect puns, here’s 8 perfectly hideous Christmas jumpers to give you that festive feeling. This glorious ode to Kim K and her gravity-defying assets has left us in a festive flurry. Pass the eggnog...? Combining possibly the most-annoying-yet-catchy-AF song of 2016, leave it to Drake to answer all of our Christmas knit prayers. In such a festive colour, how could one resist? 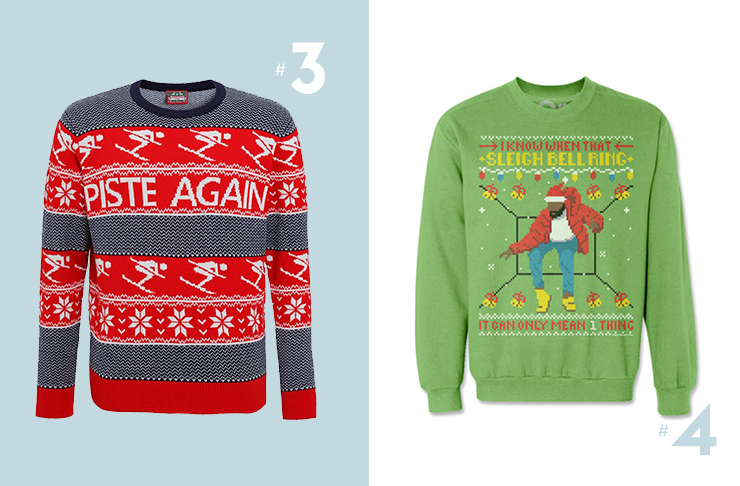 Maybe a little too ‘classy’ for this list, this totally 'lit' jumper is the ideal yuletide yarn for grumpy folk who takes themselves far too seriously. 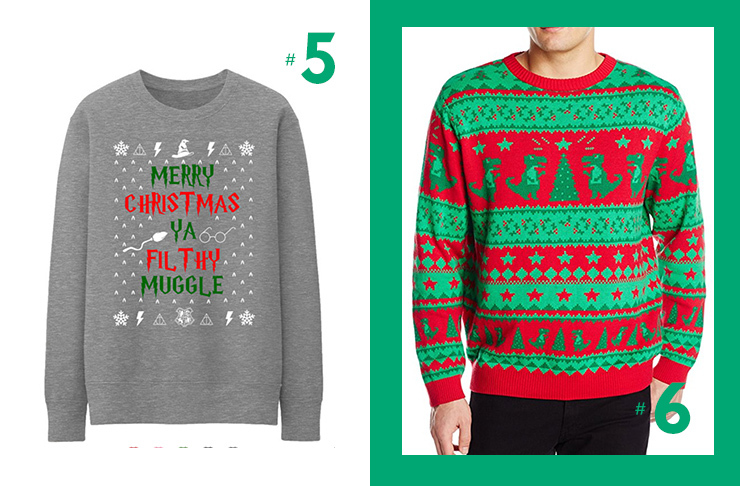 Ugly Christmas jumpers aren't a fashion show, folks! 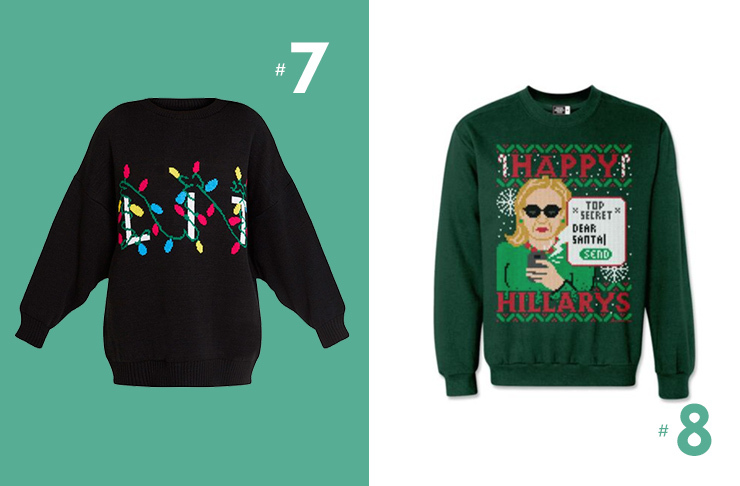 She was beaten to the top spot by a toupé-wearing oompa loompa, but we gotta say, Hillary's got our vote this Christmas! Wear this poiltically charged sweater to Christmas day lunch paried with your 'Michelle Obama 2020' picket. Christmas Day is always the best time for heated potitical discussions between yourself and your sherry-soaked grandparents.